South Hadley Men's Fall - Winter Basketball League. Thanks for a great 2018-19 season! Click here for the final playoff brackets. Congrats to Outlaws and K&S for winning their divisions! Our league runs with team signups. If you are an individual looking to play, your best bet is to contact someone you know and ask to join their team. If not, you can email arogers@southhadleyma.gov with your name, cell, email and playing experience and we will forward to the league coaches. It is rare that individuals get picked up. In case of inclement weather; call the Recreation Department's Cancellation Hotline at 538-5017 x233. We will also change the status of the games on the website. Congrats to Outlaws, A Division Champions 2018-19! 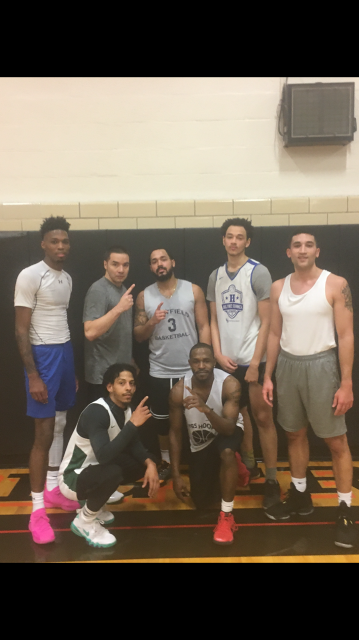 The beat City Sports Bar & Lounge 77-73 in the final. Congrats to K&S for winning the B Division Playoffs! They beat Sok's 89-77 to cap an undefeated season! 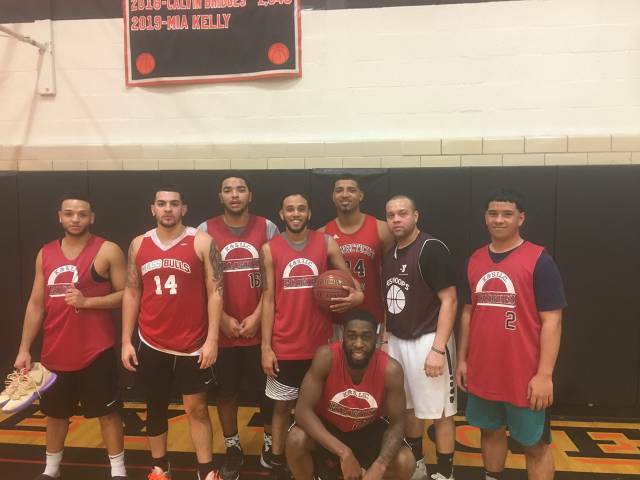 South Hadley Mens Fall - Winter Basketball League.